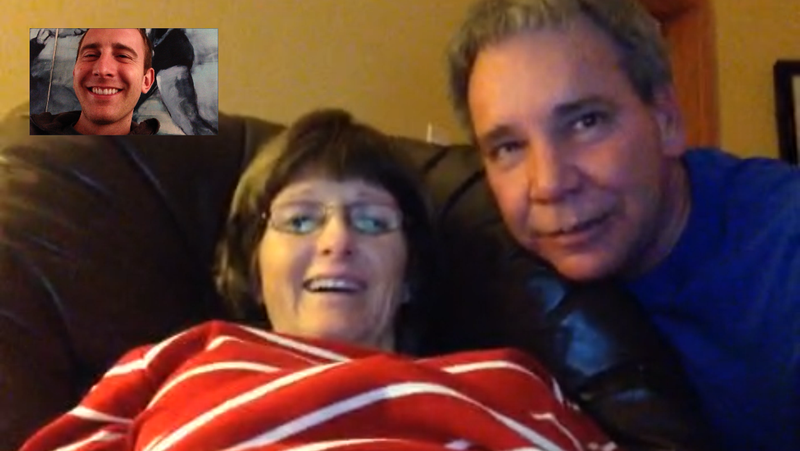 My folks and I were FaceTiming last night when my dad told me a story that my mom requested I share on this blog. My Aunt Patti was at my parents’ house painting my mom’s nails yesterday afternoon when my mom seized the opportunity to try and recruit her to help type a blog post because ALS has rendered her fingers pretty much useless. For the purpose of this story it should be noted that ALS has also had a similar effect on her speech. Their conversation went something like this. And then, noting the obvious hole in my mom’s plan, they all laughed. Hey guys – I don’t get here too often – but l love being able to check in on all of you, because you are so much family to me. I really miss all of you…. If I could be there now I would love nothing more than to hug each and everyone of you. You can’t even imagine how much it means to me to be part of this FAMILY. I love and miss you all. I am getting to know my family again and that’s pretty cool. Rosemary I pray I can see you again – words cannot describe how much you have touched all our lives and I love you! Your sense of humor is inspiring…. I know Rosemary things are getting really tough for you as this dam ALS continues to take over more of your abilities. I am praying constantly for you not to give up hope and that you feel the loving arms of Jesus around you hugging you–a Rosemary hug. We love you Rosemary. LOL. Well, onto Plan B.